Ladies and gentlemen, start your appetites! 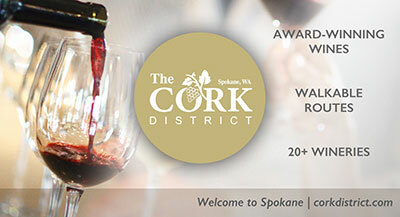 Pig Out in the Park, Spokane's annual food and music extravaganza in Riverfront Park presented by Bill Burke, is now through Labor Day featuring over 50 food booths offering 225 menu items all under $9.50, 100 free concerts on 3 stages plus roving entertainers, 4 adult beverage gardens and more. 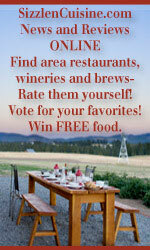 In response to customer requests, this year's Pig Out in the Park will try something new. During special hours only, vendors will offer a $3 bite of an item from their booths' menus to our loyal Pig Out in the Park customers. The schedule is Wednesday, Thursday and Monday 2 to 4 pm and Wednesday through Monday 10 to 11pm. Enjoy! 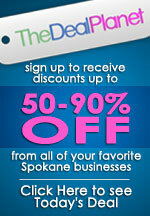 For more information including the concert lineup go to pigoutspokane.com. I will be emceeing the City Hall Stage at the corner of Post and Main by the Bloomsday runners statues so come by and say hello! 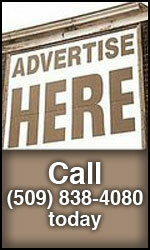 Listen to the Entertainment Spokane report each week Wednesday through Friday on 590 KQNT and KOOL 107.1. 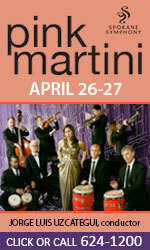 More great concerts are coming this weekend! On Saturday, August 31 Friends of Pavillion Park is the sponsor of the Spokane Symphony Concert in the Parks in Liberty Lake with music director Eckart Preu. Bring your picnic dinner to Pavillion Park this Saturday and then sit back and enjoy a mix of classics, show tunes, and patriotic marches starting at 6 pm. Admission to the performance is free. Concessions will be available through the Liberty Lake Kiwanis. And, on Monday, September 2 Sterling Bank sponsors the Free Spokane Symphony Labor Day Concert at Comstock Park again under the direction of Eckart Preu. The Labor Day concert in Comstock Park draws as many as 8,000 visitors to hear the Spokane Symphony perform under the distinctive white shell. While admission is free, the concert costs the Symphony organization more than $36,000 to stage. Sponsors traditionally underwrite the majority of these costs, but as the nation's economy has suffered, so have sponsorship dollars; in 2010 the concert was cancelled. In stepped Sterling Bank to save the day for three years in a row with an exclusive, three-year sponsorship of the Comstock Park Concert for the community. This is the final year to enjoy the fruits of their generosity. Another great excuse to pack up a picnic dinner and enjoy our fabulous Symphony, also starting at 6 pm. The Comstock Park concert will be preceded by numerous activities for children and parents alike. The Instrument Petting Zoo gives kids a chance to find their favorite instrument and give it a try, while parents enjoy displays from different arts organizations in the Fall Arts Preview sponsored by the Spokane Folklore Society. 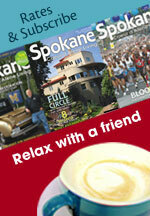 City of Spokane ordinance prohibits alcohol consumption in City owned parks. There's a great free concert this Saturday, August 31 starting at 7pm at Two Rivers Resort & Casino, featuring Too Slim & the Taildraggers. No two shows are alike, with a repertoire now numbering over 800 pieces of music you wouldn't normally hear coming out of a cello. The Cello Project's stage setup ranges from the very simple (4-6 cellos), to the all out epic (which has included 12 cellos playing with full choirs, winds, horns, and numerous percussion players). Come enjoy this unique concert at the Bing Thursday, September 5 at 8pm, Doors at 7. OneRepublic Sara Bareilles with Special Guest Serena Ryder play the INB Performing Arts Center Wednesday, September 4 at 7:00pm. Ticketswest has your seats at www.ticketswest.com or 800-325-SEAT. Multi-platinum, country fan favorite Trace Adkins hits the outdoor stage with guest Brett Eldredge as part of the 2013 Pepsi Summer Outdoor Concert Series on Sunday, September 8. Showtime is at 6 pm. Ticket prices are $59, $79 and $99 and can be purchased by ordering online at northernquest.com or by calling the Northern Quest Box Office at 509-481-6700 (toll-free 1-877-871-6772). 'Battles, Balderdash & Beauty,' an exhibit of sheet music donated to Gonzaga University recently by Howard W. Wildin, opens Tuesday, September 3 and runs through December 3 in the Rare Book Reading Room on the third floor of the Foley Center Library. The exhibit is free and open to the public from 9am-9pm Monday through Friday, and 10am-6pm Saturday and Sunday. The exhibit will be closed Nov. 28-29 for Thanksgiving. The Howard W. Wildin American Popular Sheet Music Collection, totaling more than 20,000 pieces, dates from 1835-1980, reflecting the unique attitudes, tastes, and biases of bygone eras. 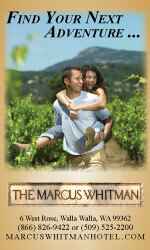 In addition to their value as historical artifacts, many titles have covers that are considered works of art. A free, public reception will be held from 2-4:30pm, Thursday, September 12 with a special musical program starting at 2:30pm that includes singing, piano and banjo. 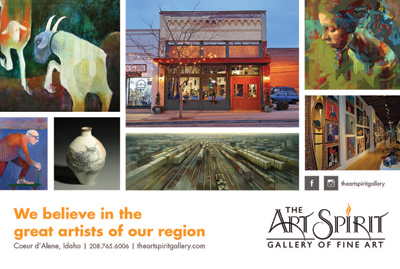 To view pieces that are not on exhibit, you can make an appointment at 509-313-3873. Approximately 3,000 pieces of music are currently available online at the following link: digital.gonzaga.edu. Due to space constraints, approximately 45 pieces of music from the collection will be on display. In addition, 70 more sheet covers are available to see in a PowerPoint presentation that will run continually throughout the exhibition. Exhibition topics include: 'America at War,' 'Notable American Popular Sheet Music,' 'Ragtime,' 'Humor,' and 'Sheet Music Illustrators.' Highlights include: 'Old Folks at Home' (1851); 'Bonnie Blue Flag' (1861); John Philip Sousa's 'Stars and Stripes Forever' (1897) and Irving Berlin's 'God Bless America' (1938). In addition, the exhibit will be available digitally, after Sept. 3, at: libguides.gonzaga.edu/sheetmusic. This Thursday, August 29, 'Performers on the Patio' continues with a free concert featuring guitarist Rob Rigoni and jewelry display by Summer Melaas. Concert runs from 5:30-7:30. On Sunday, September 1, 'Concert on the Cliff' features Meet Revolver, a Beatles tribute band. $5 admission. 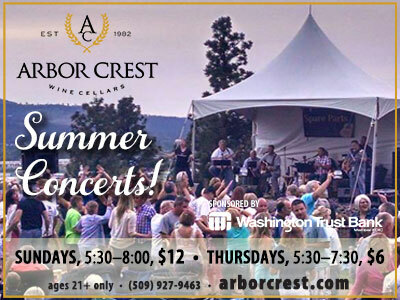 Arbor Crest concerts on Thursdays and Sundays continue through the month of September, but start earlier. Starting this Sunday, concerts begin at 4:30 and run until dusk. Thursday concerts in September are from 4:30 to 6:30pm.